In the Northwest Arkansas and Central Texas area, we sometimes find ourselves at the mercy of whatever weather blows up from the Gulf Coast. At these times, and with any other fickle Arkansas and Texas weather, your roof can take a beating and may need to be replaced. Luckily your homeowner’s policy covers wind, storm and hail damage and will pay for the entire cost– minus deductible –of the repair or replacement. At Quality Assurance Roofing, we not only stand by our roofing work, but we’re also a team of dedicated roof insurance claim specialists that are committed to securing the right amount of money for your repair or replacement. Each year, our roofers go through continuing education by attending seminars that keep us up to date on industry best practices. Armed with our knowledge, we’ll sign a contingent contract with you to represent you in front of the insurance company, similar to what an attorney would do. We deal directly with the insurance companies, regardless of who they are, and in fact, we just ask you to file the claim and we’ll take it from there. 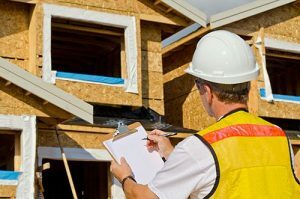 Quality Assurance Roofing takes care of the estimation costs with our trained eyes and we’ll identify if your roof has experienced storm damage or if it’s simply worn out. If your roof has recently taken a beating and you need a reliable and dedicated crew to see you all the way through, from filing the claim to repair and replacement, contact Quality Assurance Roofing to request a free inspection. You can also call us toll-free at (800) 928-7026.